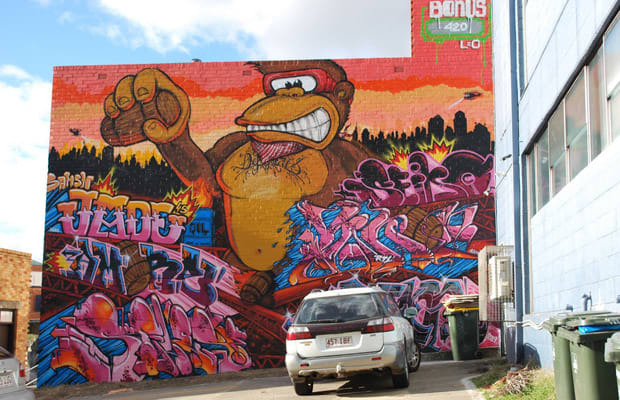 You'd be forgiven for not recognizing this giant monkey from Brisbane, Australia as D.K. if not for the barrels in his hands. For one thing, we've never seen our favorite Kong decked out in goggles and 'kerchief. And the helis flying around make him look like a different Kong altogether. Still, we like the scope of this one.